Beja Caid Essebsi was elected president of Tunisia in the country’s first free presidential elections since its 1956 independence. He won a clear majority , some 55% of the vote to Moncef Marzouki’s 45% in a run off election with 60% of eligible voters going to the polls. Essebsi’s ability to play down his connection to the Ben Ali regime – in which he served and to amplify his connection to the country’s generally acknowledged founder and first president – Habib Bourguiba. Immediately after the results were finalized, both Washington and Paris expressed their satisfaction with the results. ∙ its failure to craft an economic policy to lift the country out of its current misery. For some time Western now, the media, particularly in the United States and France, has been have been touting Tunisia as the one success story in an otherwise dreary, if not dreadful Arab Spring. Libya, Syria might be in a full state of collapse, Iraq and Yemen in turmoil, Bahrain in a seething state of repression but at least in Tunisia the situation is stabilizing, this despite a bumpy road traveled since a young vendor in the town of Sidi Bouzid, one Mohammed Bouzazizi set himself, the country and the region aflame. The Arab Spring continues where it all began, so media spin goes, in Tunisia. Or it that the Obama Administration, with so many Middle East failures mounting up is propping is trying to eek out a success from what remains a fragile process of reform and renewal? A more objective picture would have a more sober ring to it. Despite all the hoopla and congratulations for a successful election process, Tunisia remains a country walking on political ice, its future unsure, the political legitimacy of its elected leaders both the immediate past and present, rather fragile. The emerging Nidaa-Tounes – Ennahdha political coalition that both the United States and France have both been hoping and working for has not yet solidified. The mutual distrust between the parties remains considerable suggesting it will be a difficult political marriage at best A radical Islamic insurgency has yet to be contained with the Tunisian military and its foreign advisers seemingly at a loss concerning how it might be neutralized. The countries well-known regional disparities are as great as existed during the Ben Ali days and high unemployment rates nag the whole country. Virtually nothing has been done – short-term, medium-term or long-term – to address the crisis other than to accept foreign loans – with their usual austerity conditions – to alleviate the crisis. The bleeding of the country’s youth continues with Tunisians in large numbers leaving the country, either to join the Syrian jihad against the Assad government or simply to escape to Europe in search of greener pastures. Further antagonisms between religious and secular elements after three years of an Ennahdha run government remain pointed and can only complicate the American and French attempts to bring the two political parties into some kind of right-wing, pro-US, pro-neo-liberal economic coalition whose combined political clout can get the legislature to approve the IMF’s austerity plan, which is likely to run into stiff resistance. Who To Vote For? Who Not To Vote For? Why Vote? In the end, the elections were not unlike that of many other states: a choice between the lesser of two evils. On the one hand, a vote for Essebsi was a re-legitimation of the Ben Ali era. Nidaa Tounes and Essebsi can repeat the mantra of “we’re different, we’ve learned the lessons of the past” all they want – the repression, corruption and political cronyism that marked the Ben Ali era will not wash off so easily. And then the sight of an 88-year-old presidential candidate, really a hack from the Ben Ali days, trying to come off as a reformer, well, it is difficult to take too seriously. By the way, many of the candidate’s own comments did not help. One has to wonder, is that all that Washington and Paris could dredge up with as an alternative to Ennahdha? (the answer being, yes, that was all, the pickings were slim). On the other hand, support for Marzouki meant continuing the political influence of those pulling his strings, Ennahdha, who had in record time undermined if not destroyed the public trust through their mismanagement and factionalism. With its ties to the Muslim Brotherhood regionally, political and financial support of undetermined (but apparently ample) amounts from Turkey and Qatar, its opening the door to Salafist thuggery and plain old-fashioned political stupidity, all this despite often conciliatory but insincere rhetoric, Ennahdha had lost the political capital it had earned from years of suffering and oppression under Ben Ali. Tweedle dum or Tweedle dee? The progressive forces face the new political realities divided among themselves. That great coalition that overthrew Ben Ali has come unglued for the moment. Divisions abound now pitting those who support elections against those who are cynical about the choices. Among those supporting the electoral process, there is no unity over which candidate deserves support. Some elements came out in support of the transitional president, Marzouki, others backed Essebsi. In the process, the social movement’s social program for greater economic justice, a new vision, direction of the Tunisian economy was lost in the shuffle and this just at a time where the new government is prepared to move assertively on implementing yet another IMF structural adjustment austerity program, exactly the wrong prescription for the country’s social and economic ills. Seeing the differences between the two presidential hopefuls as somewhere between insignificant and non-existent on socio-economic policies, many of the country’s young people, among them those who actually made the Revolution of January 14, 2011, chose the third option: not to vote at all. Youth were highly represented among the non voting 40% of eligible voters. Those on the left who did vote – that wondrous, militant democratic majority who took to the streets of the country repeatedly first to overthrow Ben Ali and then to keep Ennahdha from pushing Tunisia that much further to the right – they were split. Some, surprisingly, came out in support of Marzouki, of whom they had been quite critical. Their reasoning was that for all its problems and warts, Ennahdha is a post Ben Ali phenomenon, a part and parcel of the new, revolutionary era while Essebsi was little more than a ghost of the past. Others, fearing opposing the Islamic shift cast their fate with Essebsi, the anti-Islamicist candidate. Most did so in full recognition of Essebsi’s personal and political shortcomings, but seeing the Islamic shift as a greater danger. Not exactly a promising picture. The country remains in danger of falling apart but it had a smooth election process. So? But the Obama Administration, scrambling to salvage something, anything of a Middle East diplomatic success story, has grabbed on to the Tunisian elections and exaggerated their impact. Still, they were both interesting, and I suppose, historic. 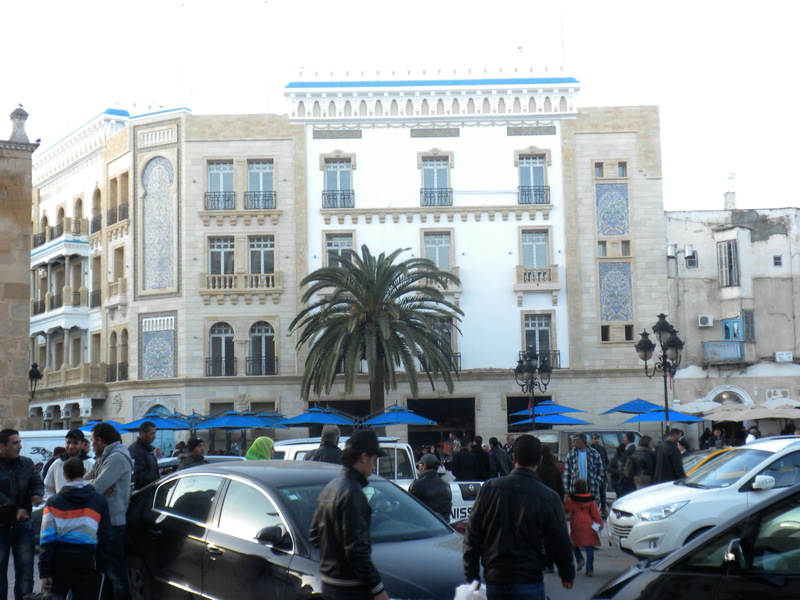 “Historic” in that despite considerable the considerable political, socio-economic and cultural (ie – religious) regional and domestic turmoil, Tunisia was able to complete a political process which includes a new constitution and political landscape. It was “interesting”in that it was the first open presidential elections in the country’s history since its 1956 independence from France. From all initial appearances the election went smoothly with a minimum of voter fraud. Tunisia’s voters appeared to be looking for “a return to normalcy” after three years of political turmoil and continued socio-economic stagnation. Having sought a return to order and economic growth rather than more substantial changes, in the end, after the primary elections, the choices in this presidential run off proved to be rather narrow – and one might argue (as I did recently)- from the point of view of political economy, frankly, insignificant. Having sought a return to order and economic growth rather than more substantial changes, in the end, after the primary elections, the choices in this presidential run off proved to be rather narrow – and one might argue – from the point of view of political economy, frankly, insignificant. The situation in the country was anything but normal prior to January 2011 when Ben Ali was unceremoniously booted from the country by one of the largest demonstrations in the country’s history – a million people (of a population of 10.9 million) packing the streets of Tunis from all over the country. So it is not a return to “normalcy” as much as to the instability that characterized the country prior to three years of Ennahdha rule. Marzouki, the outgoing president of the country’s transitional government, was elected by the transitional parliament at the time, not by a popular vote. Marzouki’s presidency was marked by lack of an economic policy, and the growth of religious factionalism in the country. Although admittedly his hands were tied, still, he proved unable to provide the leadership to steer the country in a more positive direction. While of a secular orientation, during his tenure the country’s political system was essentially dominated by the Ennahdha Party, that fashioned itself as “a moderate” Islamic Party with strong ties to the Muslim Brotherhood. The period experienced a Salafist (Islamic fundamentalist) upsurge which Ennahdha tacitly – and sometimes openly – supported that included an Islamic fundamentalist take over of as many as 1000 of the country’s 5000 mosques and attempts to hijack the country’s education system and roll back political gains that had been won by women. Marzouki’s defeat was less a function of the electorate’s support for Essebsi than it was an unambiguous rejection of Ennahdha’s policies these past few years which brought the country, frankly, to the brink of civil war. Like it or not, Marzouki is closely identified with these policies. For many, he was viewed these past three years as little more than a secular cover for Ennahdha‘s active attempts to “islamify” the Tunisian political landscape, unfortunately, a pathetic figure actually with no, or hardly any political base to fall back on, making him more easily manipulated by his Islamic allies. His ineffectiveness in addressing the country’s problems, his subservience to and unflagging support for Ennahdha’s policies through thick and thin, probably cost him the election. While Ennahdha remains a player in Tunisia’s political landscape, its sails have been politically trimmed, its domestic base narrowed considerably. On the other hand, let’s not overstate the extent of Essebsi’s victory. If Essebsi was quick to point out the obvious shortcomings of Ennahdha’s time in power, its lack of an economic policy, its informal but very pronounced alliance with the country’s salafist elements, Ennahdha’s comeback, their critique of Essebsi was not without merit, legitimacy. Essebsi’s base, if one can call it that, is essentially the old guard from the Ben Ali days, many of those who benefited from Ben Ali’s rule economically or were a part of the Ben Ali administration. Among those who voted against Essebsi were many who see his victory as a return to the politics of the Ben Ali days, “Ben Ali clean – but Ben Ali.” True he also drew from liberal and left elements abhorred by the Salafist upsurge with its thug tactics and factional political agenda, its attempt to role back women’s rights and its generally retrograde cultural policies. But at its heart, Essebsi’s base is the Ben Ali old guard – not much more, nothing less – re-asserting itself in a new suit. The Rassemblement Constitutionel Democratique (the RCP – sole political party of the Ben Ali days) has been rechristened Nidaa Tounes. Nice face lift, that’s about it. Early on in the post Ben Ali era, and as they did in Egypt to a certain extent, the Obama Administration supported the overthrow of Ben Ali and the coming to power of the Muslim Brotherhoods in both countries. As Marcos had in the Philippines a quarter of a century ago, Mobutu in the Congo in the mid 1990s, Ben Ali’s rule had run its course. His days were numbered and the Obama Administration was well aware of this. By 2010, Ben Ali’s base consisted essentially of his security force of some 200,000 (in a country of 10.9 million) and his international backers. Washington well understood that Zine Ben Ali’s days were numbered. The great fear in Washington was that all that pent-up opposition would explode in a new political order, one that rejected World Bank and IMF direction economically and was non-aligned politically. Although now oil and natural gas have appeared on the scene and change the equation some, essentially Tunisia has not been particularly important to the United States either politically or economically, but it has provided a generally stable environment from which Washington can survey the rest of the region – the region in this case being North Africa and the central Mediterranean. As such the U.S. embassy in Tunisia is an important center of communication and intelligence. So it remains. Stable Tunisia for the United States means a stable listening post – ” a communications lily pad” not similar to Jordan or Burkina Faso in central Africa. The challenge in the Tunisian case, more or less the same as in the Philippines in 1986 as in Tunisia in 2010, was to find a viable, pliable alternative, one that could have some popular base on the one hand, but that would not change the country’s essential political and strategic orientation on the other: all the change necessary to maintain the status quo as an old German 19th century radical philosopher once put it. It’s more or less the same approach the United States had all along to post-colonial goverments – ok if they are “moderate” (read: Marcos, Mobutu, Ben Ali, Mubarek), not ok if they are “radical” (read Castro, Nasser, Lumumba, Sankara, Ho Chi Minh, even Nehru). The Obama Administration understood that the changes were probably inevitable and that at least in the case of the president, understood they could not be stopped (all that stuff about being on the right side of history), but that they could be managed if the “right” political force could be found. For a while, Washington thought that force to be Ennahdha and was willing, as they say, “to ride that particular political horse” as long as it played by the rules, that is to say Washington’s rules. Ennahdha is essentially the Muslim Brotherhood organization for Tunisia. It’s political views are very similar to that of the ruling Justice and Development Party (AKP) in Turkey, a so-called moderate Islamic Party which has grown influence as a result of the failure of the more secular political formations to deliver on both democracy or development. At the level of the presidency and the State Department, the United States is less concerned with the religious orientation of those in power (remember Saudi Arabia) than with its accommodations to global neo-liberalism economically and U.S. strategic interests politically (which of course are closely coordinated). Understanding these American prerogatives, Rachid Ghannouchi, the party’s ideological inspiration, fashioned Ennahdha’s politics accordingly – and continues to do so. And in general Ennahdha has followed this path political path more religiously than Shari’a law. Ennahdha was willing to play ball with the United States and the United States watching its relationship with both Turkey and Qatar strengthening was willing to support Ennahdha in return. That was earlier this year – January 2014 when spurred on by growing domestic opposition – Washington (and Paris) pressed Ennahdha to cede some of their power and enter into a genuine coalition with some secular, business elements. Ennahdha was pressed to do so both by Washington and Paris, concerned with the country’s drift into chaos under the Muslim Brotherhood’s leadership. Events in Egypt, the overthrow of the Morsi government and the establishment of the military dictatorship there were a precipitating factor. But there was something else, perhaps not generally publicized in the American media,that precipitated a cooling of relations. In January, 2014, a group of Salafist militants entered and attacked the U.S. embassy compound with great violence. No one was killed, some property was destroyed. To get to the embassy the mob involved had to cross a number of key strategic check points and to pass by the largest Tunisian military base in the country right next door. Washington concluded that the attack was either a result of Ennahdha incompetence or complicity. Either way, as far as the Obama Administration was concerned, Ennahdha was held responsible and their honeymoon with Washington over, their diplomatic goose cooked. The party’s leader, Rachid Ghannouchi was called – “summoned” might be a more appropriate world – to Washington. Publicly he was given awards, privately he was read the riot act by the Obama Administration. Paris never liked his Islamic orientation in the first place. Esssebsi, whose good relations with Washington date over a series of decades, was able to take advantage of this crisis and did so rather deftly. As Ennahdha’s domestic base was shrinking by the minute, its international support, most especially from France and the United States, became even more important. Washington and Paris essentially “convinced” Ghannouchi that if his party wanted any political future at all, it needed to make a few strategic adjustments, they being to break their support for the Salafists and isolate them from the body politic on one hand and on the other, to cozy up to the Essebsi and the old Ben Ali ruling circles on the other. It wasn’t so much that Obama wanted to eliminate Ennahdha as to clip its wings, in part for fear a complete abandonment could trigger a civil war – not at all out of the realm of possibility – and in part because Washington became increasingly concerned that to push through legislation in support of IMF structural adjustment policies (in this case prying open the emerging Tunisian energy sector) needed the joint support of both “the new guard” (Ennahdha) and the old guard (Essebsi and the old Ben Ali political and economic elite). And so a new “united front of the right” came into being. That one or the other won the presidency I believe was not so important as was the fact that a joint effort would be necessary to get approval for Washington’s economic plans. The unspoken fear Washington was trying to address was the probable broad-based opposition to these traditional IMF policies from the Tunisian people, who were, in revolting against Ben Ali, searching for a yet to be clarified economic direction. Understanding the degree to which his party’s flirtation with political power was dependent upon Washington and Paris’ blessing, Ghannouchi, tactically more clever than strategically wise, ceded to the inevitable and ceded power. Of course he negotiated for his party what he could to keep at least a finger in the pie. Washington and Paris agreed. Besides they had their own agenda for the country that included both greater strategic and economic penetration, part of which included forcing the country’s economy to implement IMF structural adjustment policies that would lift subsidies on oil and electricity as well as prying open Tunisia’s energy sector to foreign companies on attractive terms. Fearing that neither Essebsi’s Nidaa Tounes nor Marzouki supported by Ennahdha could deliver the political clout to impose the required austerity, Washington (and Paris) have pressed the belligerent political parties to try to work in tandem to deliver the votes in Tunisia’s recently elected parliament. As so as the saying goes. Lutta Continua. So, good things (did not) come to those who (did not) wait , (long enough) ! The people of Tunisia are truly at a loss , and went eventually for the ” half loaf “, oblivious to the errors of the past and completely unaware of what’s lying ahead . In fact, short-term-thinking took over, and it’s Hasta La Vista beloved-arab-spring : From Tunisia with Love ! Our national media-circus did its job well to consistently misinform public opinion, in such a way that even the people of Sidi Bouzid voted Nidaa, and to make things worse, their mojority voted Essebsi . How humiliating can it be, to their own Mohamed Bouazizi who must have turned in his grave, literally . Naturally, I’m sticking to my view that tunisians were being fooled , yet again, for good . I did wonder what do people see in Essebsi ? A reincarnation of Bourguiba ? I do not think he’d come even close, with or without sunglasses . But then, how come he never visited “his idol” in his prison in Monastir, and when Bourguiba died, Essebsi never showed up in the funerals . Isn’t it pretty strange and utterly hypocritical ? Washington & Paris may be in favor, but for a large number of tunisians, Essebsi who will turn ninety before his mid-term, simply cannot cope with the situation properly, and due to his serious kidney failure which may worsen, he would either step down and make way to new elections, or, most probably he’ll finish the whole term, but as a puppet, leaving the decision making to advisors & Lobbies . The third option, he might die halfway his mandate . This will prove how unwise tunisians were, in electing a man who, by chance, happened to replace Mohamed Gannouchi at the time : Anyone will do, as long as we get rid of M. Gannouchi . That was the intention, but not because Essebsi would do better . Clearly, after january 14th, everyone acted as if he or she, had invented Democracy, after being reassured by the transitional Government, that Tunisia is no longer a police State, and that Freedom of speech a well deserved right, to every citizen, including the ones who collaborated with BenAli . A noble gesture, but some knew better what to do with it . They definitely did not need all that freedom back in the old days, what would they need it for ? Answer : For manipulation (!) . Perfect equation to play around with, but bad news for a young “Democracy” that’s still crawling . So manipulation became quickly, big business here, and served as the catalyst to Anti-Troika campaigning, all along . TV news bulletins used to start with the President’s activities, on every edition, because there was no Freedom of any kind, beforehand . Now, we have all Freedoms, and we turn against the “State” . For allowing us to be free ? Ok folks, read my lips : No more Freedom of speech, as from today, when Essebsi is inaugurated President . You can kiss your Jasmin Revolution goodbye, and tell her not to come back again ! Instead of bringing bread, she brought freedom ! Ha…what a joke ! our comments kerim, help a great deal in keeping me honest. thank you. Rob, it’s your honesty that I appreciate most, ever since I discovered your webpage in december 2010, just a few weeks before B.A’s downfall. and I believe you’ve been objective all the way . Please note that the last 4 lines of my comment, were a parody of what we, tunisians, can expect under Nidaa rule . Hope I’m wrong …Soon we’ll know if Essebsi is indeed the right man, for the right job, or maybe not entirely .